Artworks looted by the Nazis during the Second World War and now held in Britain's national museums and galleries are to be handed back to their owners. "The owner of an artwork identified as stolen by the Nazis ought to have the right to decide whether they wish for the artwork to be returned," he said. "Some people may be happy for work to stay in public collections, but they should have the option. At the moment, they are not given that choice. "No one knows how many artworks this will relate to but we shouldn't think that just because the war was 60 years ago that this has all finished." In a statement, the Department for Culture Media and Sport said: "The Government are committed to introducing legislation as soon as possible to allow all national museums, that are currently prevented from doing so by the acts of parliament under which they are founded, to return works of art spoliated during the Nazi era." 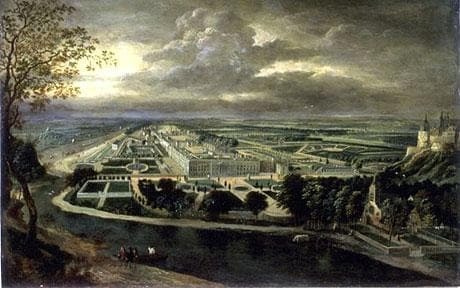 The works – which could now be returned under the new legislation – include "View of Hampton Court Palace" by Jan Griffier the Elder, held by the Tate, as well as four "Old Master" drawings held by the British Museum. These are: "The Holy Family" by Niccolo dell'Abbate; "An Allegory on Poetic Inspiration with Mercury and Apollo", by Nicholas Blakey; "Virgin and Infant Christ, adored by St Elizabeth and the Infant St John", by Martin Johann Schmidt; and "St Dorothy with the Christ Child" by School of Martin Schongauer, which are all held by the British Museum. Another case involved "The Beneventan Missal", held by the British Library. Until the war, the missal was held in the metropolitan chapter of the Cathedral of Benevento, in southern Italy, and is thought to have been looted during German occupation of the region. The most recent case involved a porcelain dish held by the British Museum and a "Monteith" (or glass cooler), at the Fitzwilliam Museum, in Cambridge.